There are many costs associated with cybersecurity. From anti-malware software subscriptions, professional security assessments, and cybersecurity insurance to the costs of dealing with actual attacks, protecting business data occupies an ever-increasing chunk of an organization’s operating budget. Unfortunately, theses costs have a disproportionate impact on small- and medium-sized businesses (SMBs). There are several reasons for this. First, there are costs related to prevention. Most of these costs are more or less proportional to the size of a business. For example, anti-malware software subscriptions are usually charged per computer protected, so a larger business with many computers will pay more than one with few computers. (The larger business, of course, may get a volume discount.) Likewise, assessing the security stance of a small business with a simple IT environment takes less of a consultant’s time than that of a larger organization, so this cost should be proportionally smaller as well. Although small businesses may not have as much valuable data to steal as a large company, it’s still valuable, and hackers will still try to get it. 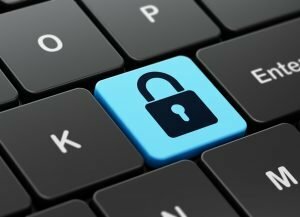 Small businesses do not usually have IT security experts on staff (or any IT staff), and those who don’t outsource this function to a professional managed IT provider—those who try to save a few bucks by doing it themselves, or not at all—are more vulnerable than larger companies with in-house or outsourced IT security expertise. Hackers know this, and insurers know that the hackers know it. Small businesses in the medical field, such as individual doctor’s offices, small group practices, and clinics, are of particular interest to hackers because medical information is especially valuable; as a result, these organizations are more likely to be frequent targets. If that weren’t enough, medical organizations in the U.S. are subject to the extra burden of HIPAA regulations, which means that these small businesses need to budget for recordkeeping, reporting, and audits that the muffler shop next door doesn’t need to worry about. Throw in the loss of productivity, lost sales, and lost trust among your customers, and it all adds up to an extraordinary financial burden from which many small businesses never recover. Again, medical SMBs have an extra potential expense to be concerned with, even when there’s no hacking involved: HIPAA fines. Although HIPAA is a federal law, state attorneys general are empowered to charge organizations with HIPAA violations. The resulting fines can run into the hundreds of thousands of dollars. A large hospital network might be able to absorb this type of financial hit, but smaller organizations will definitely feel the pinch. It’s a sad fact that cybercrime will be an increasing problem for the foreseeable future, and as long as that happens, the costs of cybersecurity will also continue to increase. If you haven’t thought about the state of your firm’s IT security lately (or ever), the time to start is now—not after a breach or fine (or both) that you can ill afford. A good place to start is our free cybersecurity checklist. Download it today to gauge your readiness and where you need to focus your efforts. The threat of cybercrime is real and constant; your IT security should be too.